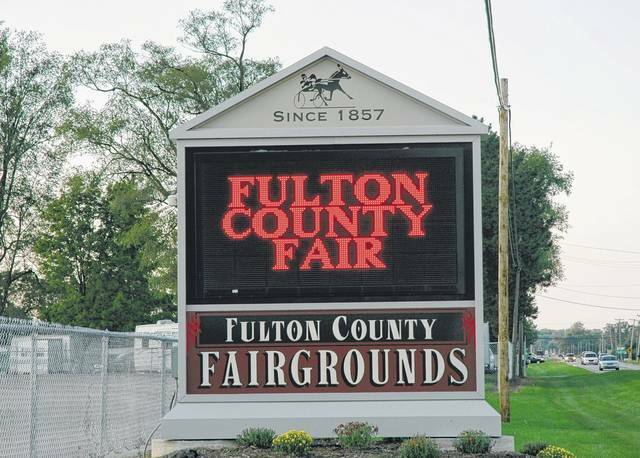 The list of winners from the 2018 Fulton County has been released along with attendance numbers. Overall attendance was 290,697. Saturday was the most attended day at 67,595 while Sunday attendance was 65,075. Grand Champion Mare, Breanna Elendt, Swanton; Reserve Champion Mare, Heather Echler, Swanton; Grand Champion Gelding, Tanya Geiner, Holland; Reserve Champion Mare, Dakato Rohrs, Delta. Grand Champion Mare, Paula Buehrer, Wauseon; Reserve Champion Mare, Paula Buehrer, Wauseon; Grand Champion Gelding, Megan Collins, Metamora; Reserve Champion Gelding, Grace Heintschel, Metamora. Junior Champion Female, Hal Brehm, Delta; Junior Reserve Champion Female, Richard Henricks, Fayette; Senior Champion Female, Alan Leininger, Fayette; Senior Reserve Champion Female, Alan Leininger, Fayette; Grand Champion Female, Alan Leininger, Fayette; Reserve Champion Female, Alan Leininger, Fayette; Premier Exhibitor Award, Alan Leininger, Fayette. Junior Champion Female, Renee and Sara Bok, Defiance; Senior Champion Female, Trish Andre, Wauseon; Senior Reserve Champion Female, Trish Andre. Reserve Champion Female Angus, Wayne Pershinger, Meadow Bridge, W. Va.; Grand Champion Female Simmental, Norman Farms, Wauseon; Grand Champion Maine Anjou, Scarlett Brehm, Fayette; Grand Champion Female All Other Breeds, Phil Herring, Wauseon; Overall Beef Show Champion Female, Phil Herring, Wauseon. Grand Champion Large Fowl, Donavin Mock, Delta; Grand Champion Bantam, Kolt Bachman, Hudson, Mich.; Grand Champion Duck, Jennifer Smith, Swanton; Grand Champion Commercial Fowl, Andrea Smithmyer, Swanton; Overall Best of Poultry Show, Donavin Mock, Delta. Champion Challenge Lamancha, Tammy Tullar, Wayland, Mich.; Champion Challenge Nubian, Karinda Miller, Elida; Champion Challenge Recorded Grade, Tammy Tullar. Overall Best of Show, Hannah Kovar, Fayette. Grand Champion Huacaya Female, Kamryn Ruetz, Swanton; Reserve Champion Huacaya Female, Julie Verhelst, Swanton; Grand Champion Suri Male, Darlyn Shumaker, Marengo, Ohio; Reserve Champion Suri Male, Darlyn Shumaker, Marengo, Ohio; Grand Champion Suri Female, Darlyn Shumaker, Marengo, Ohio; Reserve Champion Suri Female, Darlyn Shumaker, Marengo, Ohio; Grand Champion Non-Breader, Joy Bishop-Forshey, Wauseon; Youth Grand Champion Performance, Joy Bishop-Forshey; Open Grand Champion Performance, Denise Fehrenbach, Evart, Mich.; Open Reserve Champion Performance, Ann Mary Mercier, Bradner. Grand Champion Non Breeding Llama, Chip N Seal Farm, Rushville, Ind,; Reserve Champion Non Breeding, Kim Rodgers, Frankfort, Ind. ; Grand Champion Suri Female, Tami Lash, Manitou Beach, Mich; Reserve Champion Suri Female, Darlyn Shumaker; Grand Champion Suri Male, Darlyn Shumaker; Reserve Champion Suri Male, Darlyn Shumaker; Grand Champion Light/Classic Female, Tami Lash, Manitou Beach, Mich.; Reserve Champion Light/Classic Female, Don and Sue McFarland, Mt. Vernon, Ohio; Grand Champion Light Classic Male, Chip N Seal; Reserve Champion Light Classic Male, Don and Sue McFarland; Grand Champion Medium Wool Female, Tami Lash; Reserve Champion Medium Wool Female, Chip N Seal; Grand Champion Medium Wool Male, Tami Lash; Reserve CHampion Medium Wool Male, Chip N Seal; Grand Champion Heavy Wool Female, Tami Lash; Reserve Champion Heavy Wool Female, Ginger Burns, Ann Arbor, Mich.; Grand Champion Heavy Wool Male, Tami Lash; Reserve Champion Heavy Wool Male, Denise Fehrenbach; Grand Champion Performance Champion, Don and Sue McFarland; junior/intermediate, Holly Sorg, Ft. Wayne, Ind. ; senior, Grace and Don Peconge, Hoagland, Ind,; novice, Tami Lash; advance, Tami Lash; Reserve Champion Performance Champion, Tami Lash; junior/intermediate, Brenda Holdsworth, Wauseon; senior, Abigail Dugger, Westfield, Ind. ; novice, Amanda and Tim Smith, Ft. Wayne, Ind. ; advance, Amanda and Tim Smith. Best Overall Agriculture Display, Char Kreuz, Delta; Best Display of Canned Goods, Beth Baun, Delta; Best of Show Bee and Honey Products, Roger Myers, Swanton. Judges’ Choice Overall Best of Show, Jay Carr, Perrysburg. Overall Best of Show, Grace Brehm, Fayette, and Sherry Schuette, Wauseon. Overall Best of Show, Shannon Pearsall, Temperence, Mich.
Best of Special Class, Margie Gillingham, Metamora; Best of Show Doll, Courtney Hafner, Sylvania; Best of Show, Senior, Betty Winzlick, Grand Rapids, Ohio; Best of Show, Junior, Booke Winzlick, Grand Rapids, Ohio; Best of Show, Professional, Margie Gillingham, Metamora. Overall Best of Show, Connie Moore, Toledo; Best of Show, Senior, Christine Stammer, Toledo; Best of Show, Junior, Luke Richard, Swanton. Overall Best of Show, Professional, Nicole Miller, Swanton; Overall Best of Show, Senior, Jennie Price, Swanton; Overall Best of Show, Junior, Hannah Spear, Swanton; Overall Best of Show, Children, Mallory Beck, Archbold. Best of Show Roses, Ron Savage, Wauseon; Best of Show Miniature Roses, Cheryl Menard, Maumee; Best of Show Annual, Michelle Elton of Delta, Karen Savage of Wauseon; Best of Show Gladiolus, Ralph Zimmerman, Delta; Best of Show Dahlia, Doug Ward, Delta; Best of Show Perennial Green Thumb, JoAnne Shumaker, Swanton; Award of Distinction, Carol Lemle, Swanton; Best of Show Artistic Arrangement, Carol Lemle, Swanton. Best of Show Horticulture, Myra Kuszmaul, Wauseon; Best of Show Artistic Arrangement, Kamy Link, Fayette. Best of Show Roses, Neree Emmons, Fayette; Best of Show Miniature Roses, Cheryl Menard, Maumee; Best of Show Annual or Perennial, Doug Ward, Delta; Best of Show Gladiolus, Michelle Elton, Delta; Best of Show Dahlia, Tina Bastian, Swanton; Best of Show Artistic Arrangement, Carol Lemle, Swanton. Best of Show Horticulture, Grace Meyer, Wauseon; Best of Show Artistic Arrangement, Myra Kuszmaul, Wauseon; Green Thumb Award, Joanne Shumaker, Swanton; Award of Distinction, Carol Lemle, Swanton. Overall Best of Show Quilts and Comforters, June Williams, Deerfield, Ohio; Judges Choice Best Senior Entry, Judy Hale, Wauseon; Judges Choice Best Junior Entry, Grace Meyer, Wauseon; Overall Best of Show Needlework, Angela Johnson, Wauseon; Overall Best of Show, Roxanne Holliker, Wauseon; Judges Choice Honorable Mention, Susan Rupp of Fayette, Peg Hull of Swanton, Rita Schuette Wauseon, again Rita Schuette of Wauseon, Loretta Seedorf of Liberty Center, Mary Mungons of Toledo, Bonnie Krauss of Archbold, and Melinda Graber of Delta. Overall Best of Show, Brenda Palmiter, Petersburg, Mich.; Best of Show Senior Entry, Clare Weingarden, Toledo; Best of Show Junior Entry, Paige Shiple, Swanton. Overall Best of Show, Shannon Pearsall, Temperance, Mich. Overall Best of Show, Michelle Shepherd, Wauseon; Judges Choice Best of Show Senior, Linda Brackman, Delta; Judges Choice Best of Show Junior, Ian Frucheym, Wauseon. Best of Class Senior, Kathy Hollosi, Toledo. Judges Choice Professional, Ted Fisher, Wauseon; Judges Choice Senior, Dean Fahringer, Delta; Judges Choice Junior, Chet Meyer, Blissfield, Mich. Overall Winner Women’s 3-Point, Amber Faulhaber, Montpelier; Overall Winner Men’s 3-Point, Brandon Lewis, St. Louis, Mo. ; Overall Winner Women’s Free Throw, Amber Faulhaber, Montpelier; Overall Winner Men’s Free Throw, Brandon Lewis, St. Louis, Mo. Senior Division, Tommy Herr, Metamora; Junior Division, no entry; Youth Division, Anthony Pelton, Delta. First place, Franklin Blue Ribbons; Second place, Gainers and Leaders; Third place, Country Achievers. Sunday, First place, Brandon Bobelya of Fort Wayne, Ind., and Steven Ochoa of Warren, Mich.; Second place, Rick Shadday of Liberty Center and Darren Clifton of Delta; Monday, First place, Jessica Dover of Monroe, Mich.; Second place, Katie Gephart and Brandon Bobelya, both of Fort Wayne, Ind. ; Tuesday, Jr. Division, First place, Tegan Hamilton and Maguire Wilson, both of Wauseon; Second place, Hunter Eby of Wauseon and Sam Reinhart of Holland, Ohio; Sr. Division, First place, Asia Gensch and Gracie Boger, both of Lyons; Second place, Brenden Strauss of Lyons and Chase Cooper of Delta.